A centre that helps older people improve their health and social life is to benefit from a donation from South Kesteven District Councillor Jane Kingman. The Butterfield Day Care Centre on North Road, Bourne, helps older and vulnerable people remain independent by providing a meals on wheels service, domestic services such as cleaning, as well as the centre itself. It employs a manager and team of carers, and welcomes all ages. Some of the younger guests suffer from early dementia, for instance, and visit to enjoy varied company. Centre staff and a dedicated team of volunteers can collect clients from their homes and help them avoid isolation, enjoy events, company and stimulation they might not otherwise get, and receive services like chiropody and assisted bathing. Modest fees are charged and because the Centre is self-funding, it has to continually raise cash. Cllr Kingman said: "I was asked in 2002 if I would like to be a Trustee and I was so taken with the genuine staff and the happy atmosphere in the Centre that I have been there ever since. "I have been Chairman of the Trustees for over ten years now, and we fund-raise to try to get help from different sources, so I was pleased for the opportunity to make a donation through my Ward Member Grant." Cllr Kingman has awarded £333 to boost the Centre's funds. It relies on donations and fund raising and does not receive grants from any authority. Without continuing financial support it would be unable to continue, leaving a big gap in many people's lives. Fund-raising is currently under way for a new minibus. The Centre also needs new decoration, curtains and new carpets, and new chairs and tables for the clients. The building requires a damp- proof course and the garden needs updating so it is safe for people to sit out during the summer. 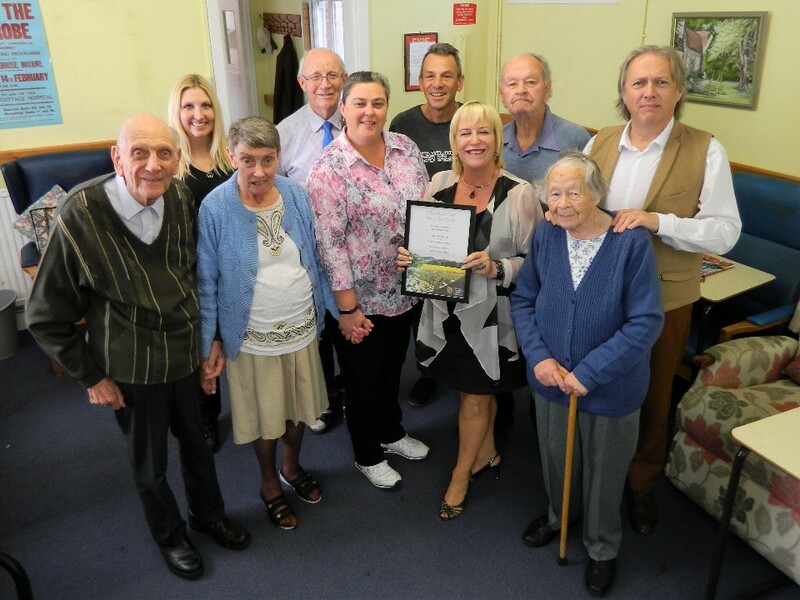 Picture caption: Cllr Kingman (holding the grant certificate) with Centre manager Debbie Hague (pink top) with by clients and staff. For media enquiries: Email the SKDC communications team at pr@southkesteven.gov.uk or call 01476 406498.